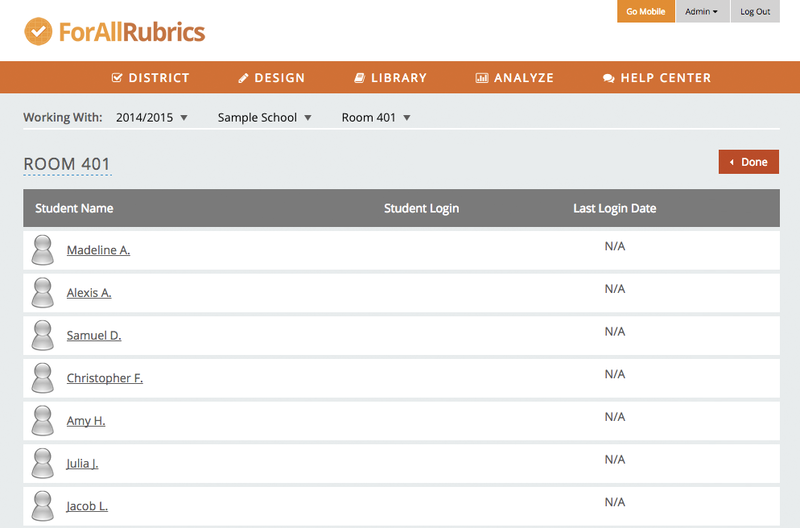 Districts can now use the mobile apps in ForAllRubrics for collecting district-wide student learning data. Use district teacher and class information in PowerSchool to automatically create ForAllRubrics teacher accounts and student rosters. 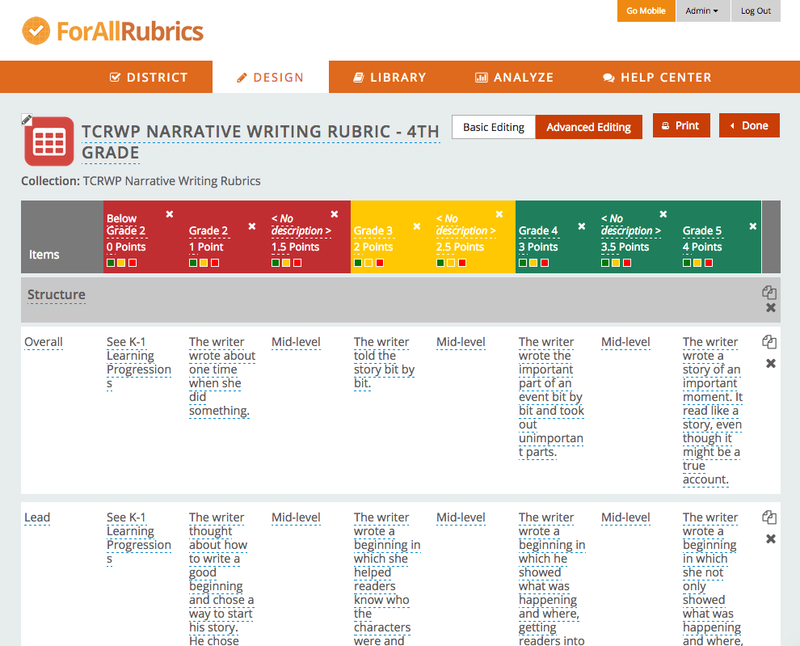 Use ForAllRubrics’ simple interface for creating rubrics to collect student learning information. 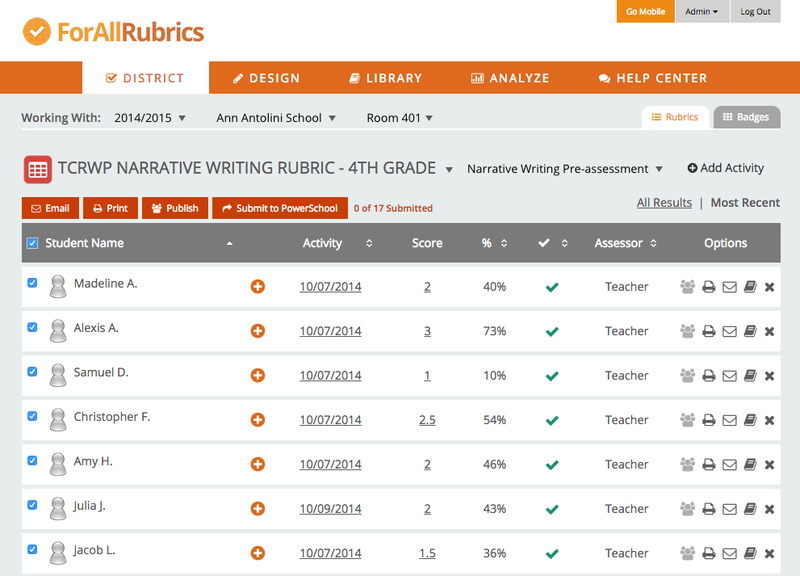 Teachers can score the rubrics on many devices including tablets, mobile phones, chromebooks, laptops and desktop computers. Data collection is supported even if no internet access is available. 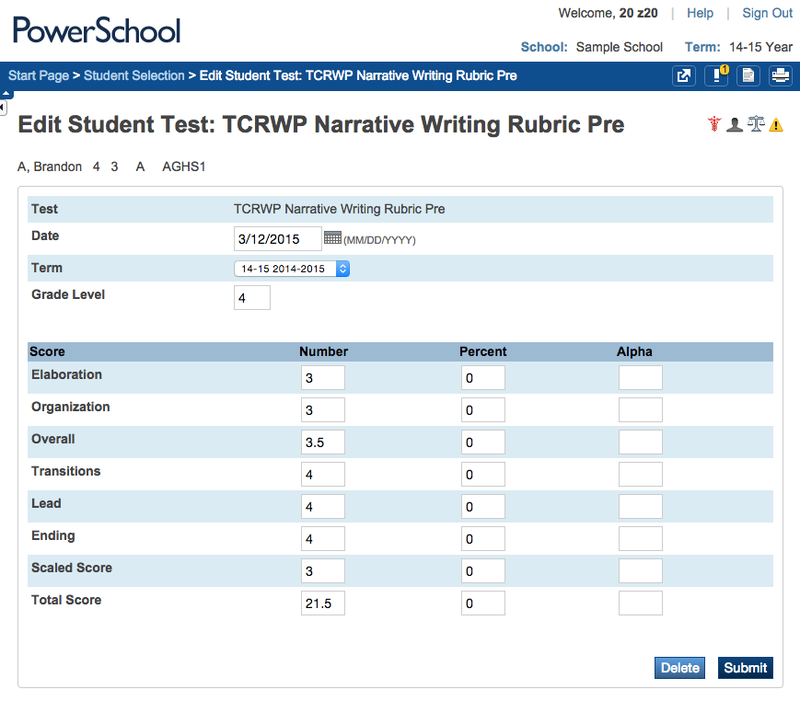 When the teacher completes the data collection for their class, the results are submitted to PowerSchool. And the district and school administrators can analyze students’ learning data on PowerSchool. Please contact us if you have any questions or want more information.